What’s a girl to do when her dreams go down the loo? 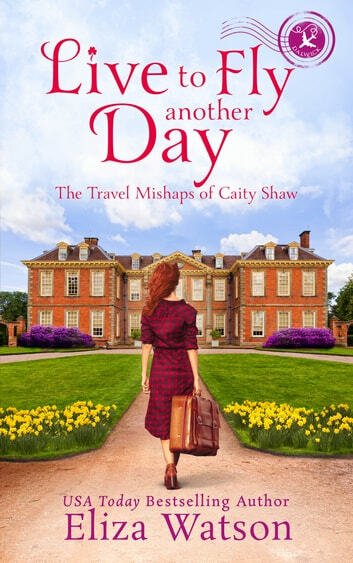 Caity Shaw has finally found her place in the world when she moves to her grandmother’s homeland, Ireland. A new full-time event planner job, a steady paycheck, and less travel are providing her a more stable and balanced lifestyle. She is able to focus on nurturing her relationships with family, friends, and Declan—who has taught her to once again believe in love and herself. Caity’s lack of meeting planning experience and having to run off to England to visit an ill newfound rellie soon jeopardize her job. And when she uncovers this rellie’s mysterious life, her entire family must come to his aid and Caity’s personal life turns upside down. Despite her growing client list and passion for genealogy research, Caity feels inept after she fails to trace even one of her clients’ ancestry lines. Then Caity faces her biggest research challenge to date. She’s unable to locate her grandmother’s birth record. Without it, Caity will not be able to obtain citizenship and remain in Ireland. If she is forced to leave Ireland, she fears she’ll lose everything she’s worked so hard to attain—her sense of identity, direction, and belonging, and most importantly, her relationship with Declan.